An elegant victorian style inn located in the heart of downtown Jamestown RIEast Bay Bed and Breakfast offers warm hospitality in the heart of historic Jamestown Village. 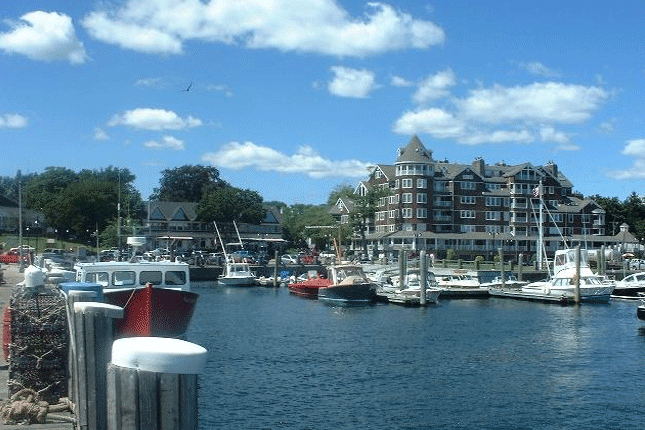 East Bay is within easy walking distance of the East Ferry Wharf and the village shops, restaurants, and Best of Rhode Island award-winning music venue, Narragansett Cafe. Beavertail State Park, Fort Wetherill State Park and Fort Getty Park are minutes away by car or bicycle. Ferry access to Newport is a 2 minute walk away or, if you prefer, downtown Newport is a short 10 minute drive. Built circa 1892, East Bay offers exceptional lodging, featuring four completely renovated rooms with en-suite baths and a completely renovated two bedroom suite with cozy den and a newly-renovated, private bath. The décor is an engaging mix of the old and new, the traditional and the contemporary. In a word, East Bay is a welcome alternative to overpriced hotels lacking character. The East Ferry Room welcomes you with hues of serene sage and soft cream. 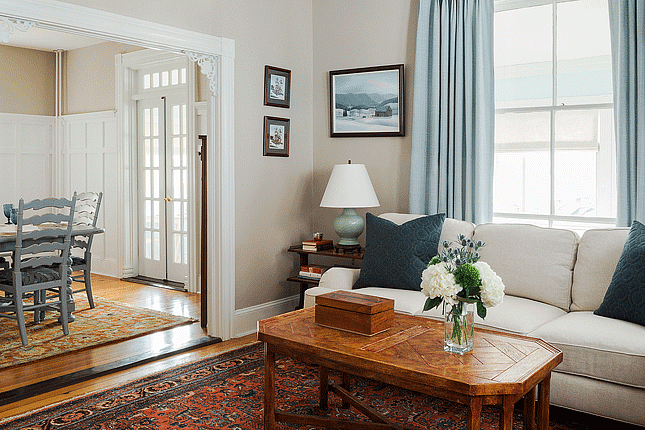 Tastefully furnished with antiques, this room evokes elegance, warmth and comfort. This room has a 2−night requirement on weekends, May through Columbus Day.